A doctor will see you as soon as you can get here. Let’s be real…no one likes to go to the dentist. However, proper dental care is a necessity for a healthy, productive, and happy life. We are here to provide you with the best dental care with the least amount of “hassle” guaranteed! 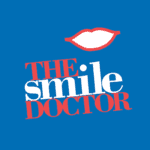 At The Smile Doctor we provide the hassle-free, affordable, quality dental care you deserve. Proper dental hygiene is a necessary component of your overall health and should not be neglected. Our entire staff is dedicated to helping our patients maintain bright and healthy smiles that will last a lifetime. We know you have busy, over-scheduled lives so we want to make it as simple as possible to come see us at your convenience. Excellent oral hygiene means a healthy mouth, and a healthy mouth means a healthy you! 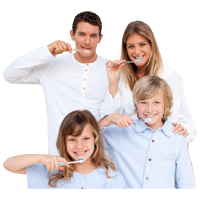 We care about providing affordable dental care for your whole family. At The Smile Doctor we are ‘family’ and try to extend the care and service we appreciate ourselves. We don't just consider you a patient, we consider you part of The Smile Doctor family. We accept most insurance plans and offer our “Smile Assurance” plan for people without insurance. Our plan includes your initial exam, x-rays, & regular cleaning FREE. Add to that 20-50% off normal fees for any procedure you desire or need. Most services are completed entirely in our office. There is little need for outside specialists, if any. At our office, we never lecture you or make you feel guilty. Your comfort and understanding are 1 on our list. We do EVERYTHING possible, including "sleep dentistry," to make sure you don't feel a thing! We provide Testing and Treatment of Oral Bacterial Inflammation, Migraine and Headache, Snoring and Sleep Apnea. If for any reason you are unsatisfied with the outcome of your care, then we keep working until you are happy...it's that simple! 7. We were voted “Best Dental Office “ by the Chamber of Commerce multiple times – this mean something! Your smile says a lot about you. What does yours say?